This is a church camp for low-income children in our community. The age range is 1st-5th grade. We would like to request a 45 minutes performance beginning at 11:15am. There will be approximately 200 students and 50 leaders. We would like to ask you to perform on 6/18, but could schedule for 6/21 or 6/22 instead. Hide your valuables... pirates will soon be invading your party! Hiring pirate entertainment for your next corporate event, birthday party or other special event is the perfect way to entertain your guests. From pirate bands, pirate decorations, and popular pirate characters, you can deck your event out with the best pirate entertainment in town. The ladies will want to take pictures with them, the men will share a glass of rum with them, and the kids can sword fight with a real life pirate! And if the guests get out of hand... you can make 'em walk the plank. Arghh! 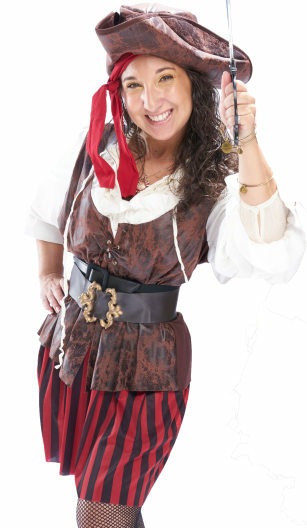 Search for Pirate Entertainment in Overland Park, Kansas above. Please note that these Pirate Entertainment may also travel to Mission, Merriam, Fairway, Roeland Park, Mission Hills, Westwood, Lake Quivira, Shawnee Mission, Edwardsville, North Kansas City, North Kansas City, Bonner Springs, Riverside, Stilwell, Parkville, Sugar Creek, De Soto, Clearview City, Birmingham, New Century, Weatherby Lake, Waldron, Linwood, Claycomo, Raymore, Spring Hill, Basehor, Gardner, Lees Summit, and Courtney.